Always with the possibility of another trip coming up, this time the Texas 200 if I can swing the time, I got to stay prepared. 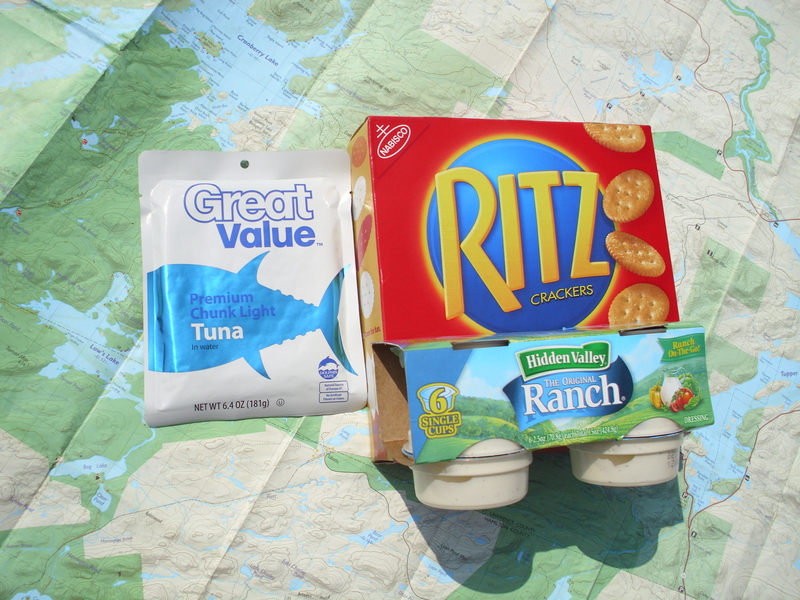 Expedition Food is something I’ve been working on and it has a few requirements. It’s got to be stuffed into my kayak, sometimes for awhile. It’s got to pack small and when finished the trash must be packed even smaller. No refrigration, foil or plastic wrapped, add boiling water or very easy to prepare, and variety, and trying to get away from crunchy grain bars (I got tired of those years ago). 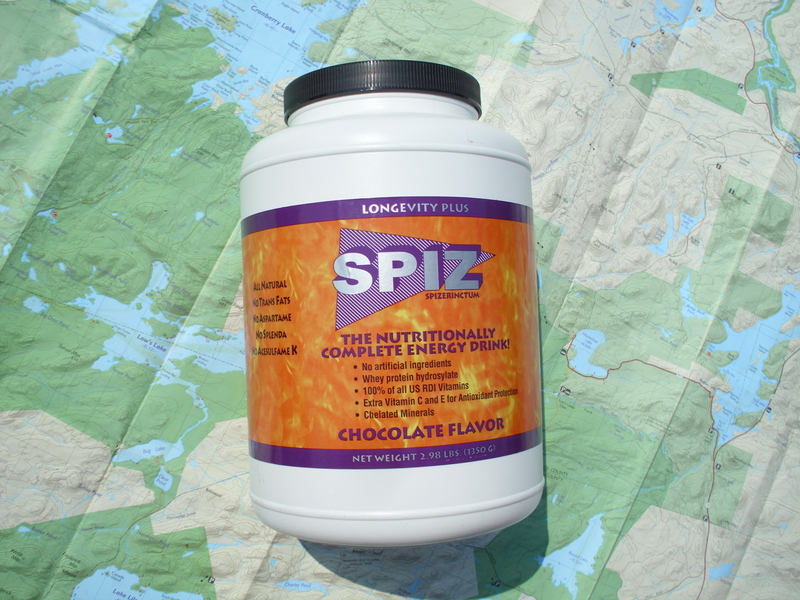 Spiz is my go to liquid food to sustain me during high energy times when the stomach just can’t process solid food, I could live off this stuff! It’s a protein shake basically, add water, shake, drink. If I mix it up very concentrated in one bottle then I can get 3-4 hours of energy (fuel) taking some every hour. I’ll drink straight water or gatoraid to stay hydrated. I use the lemon/ lime powered stuff, put into ziplock snack bags as single servings for one bottle. For Spiz I’m still experimenting with different delivery systems, and it changes depending on the type of trip. One that I’m about to try though is to put the spiz into a freezer ziplock and when it’s time add water, or maybe before hand, then drink it out of a straw from the ziplock. It’s an idea anyway, and should not take up much room and I can always have a clean way to drink this. On a long hot trip like up the texas coast this could be very useful. Washing out a bottle is not an option. In the waves off shore I might just have to take a quick swig out of a concentrated bottle because my hands really need to stay on the paddle in the rough conditions. Precooked Bacon! on a bagel and I can call that breakfast, or lunch or dinner. I’ve been trying them all out, so far 4 different brands and they are all pretty much similar. Once the packet is taken out of the cardboard it packs really small! The bagels take up room but are pretty hardy, combined to make two sandwiches really sticks to my ribs. I haven’t yet tried this while “out there” but it’s my new favorite! 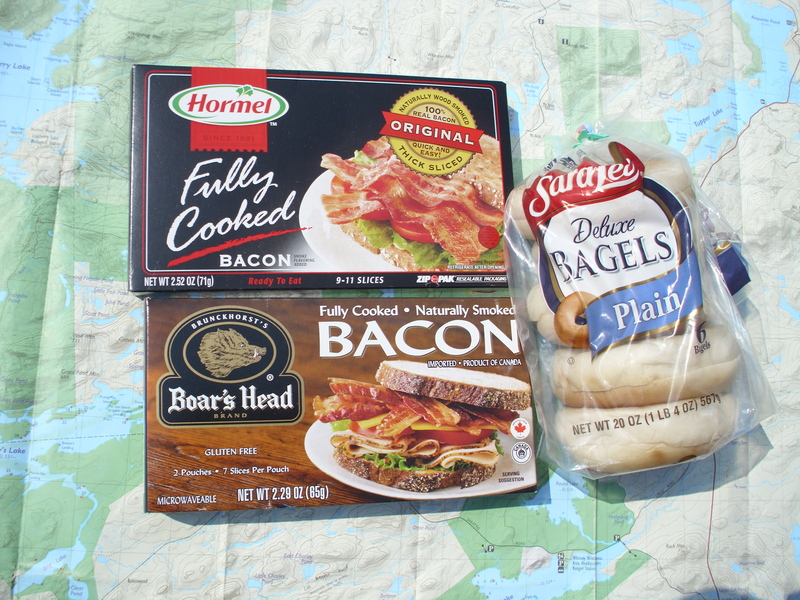 For the Adirondack Canoe Classic each of the three days I’ll be doing this for breakfast and using spiz during the day. 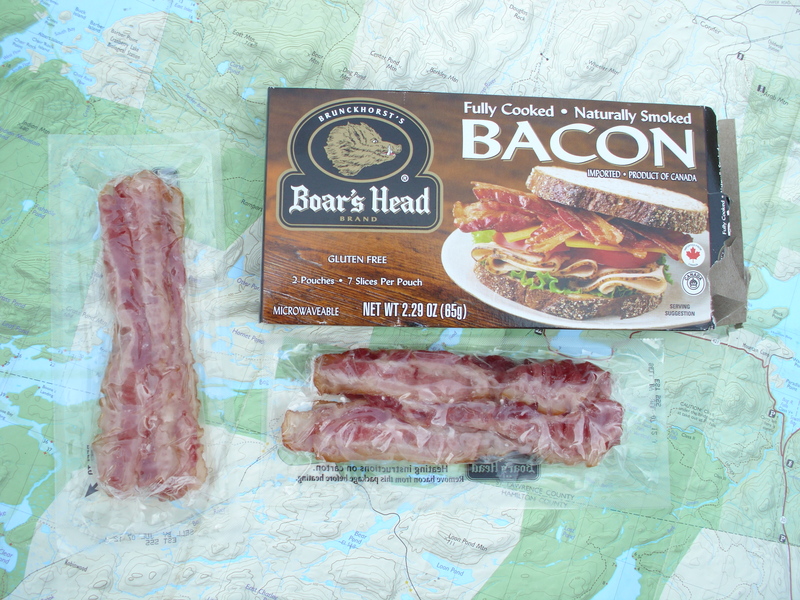 As a note, the Boar’s Head comes in two separate packages. This could be nice if you only want to eat one bacon sandwich, then the other is still sealed. The other brands I’ve tried are in a single package so once you open it then you got to eat it or refrig it. Foil packed tunafish. with ritz crackers. I just discovered this single serving ranch dressing and I can mix that into the tuna fish for another quick and easy lunch or dinner. No cooking! Nice. I haven’t tried this out with the ranch dressing but it’s got to be better than just plain tunafish. 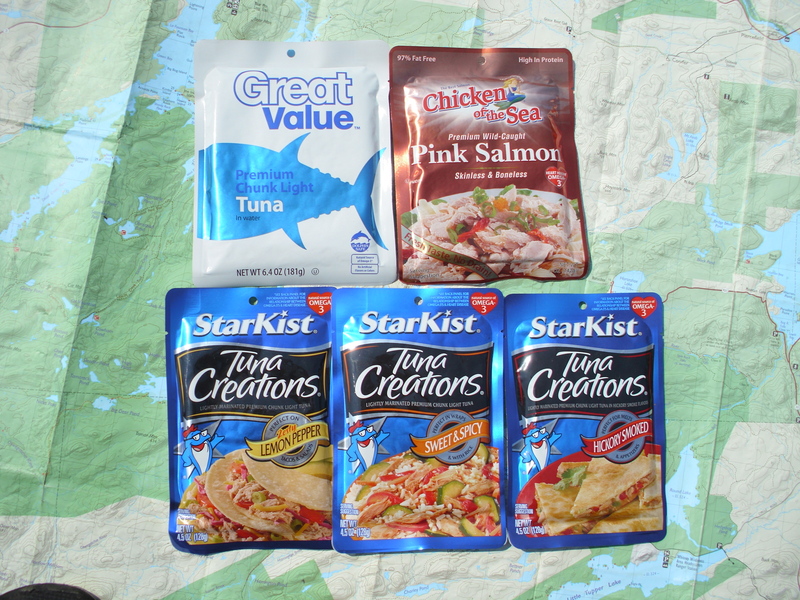 I’m also tried the other tunafish with “stuff” in it and that works out well too but they are smaller servings so I got to go with several of them. 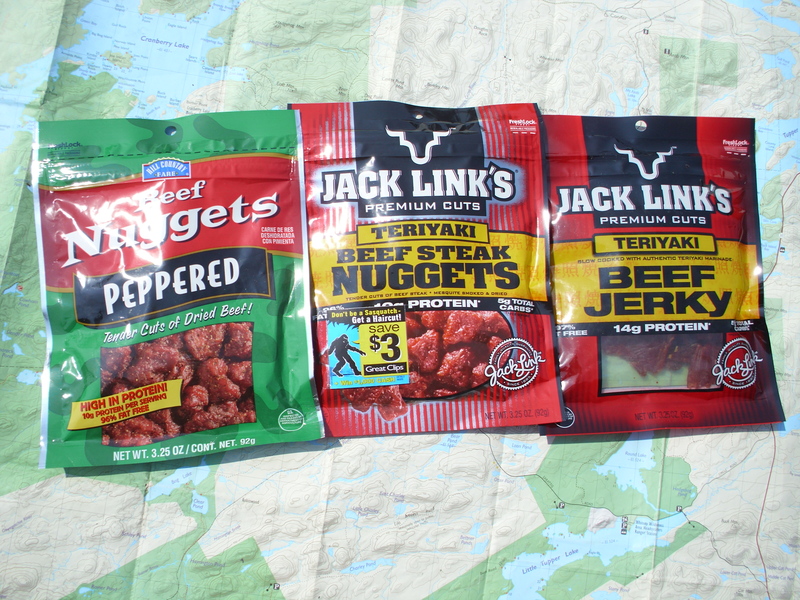 Beef Jerky: Because after awhile the body craves meat! I think it’s the fat content really, but with the new bacon bagel sandwiches this might be less of an issue. Then of course there’s the tried and true Mountain House type meals for when I want something hot to eat, and there are those times when it’s necessary! There’s also the snack foods, and candies, comfort food really. 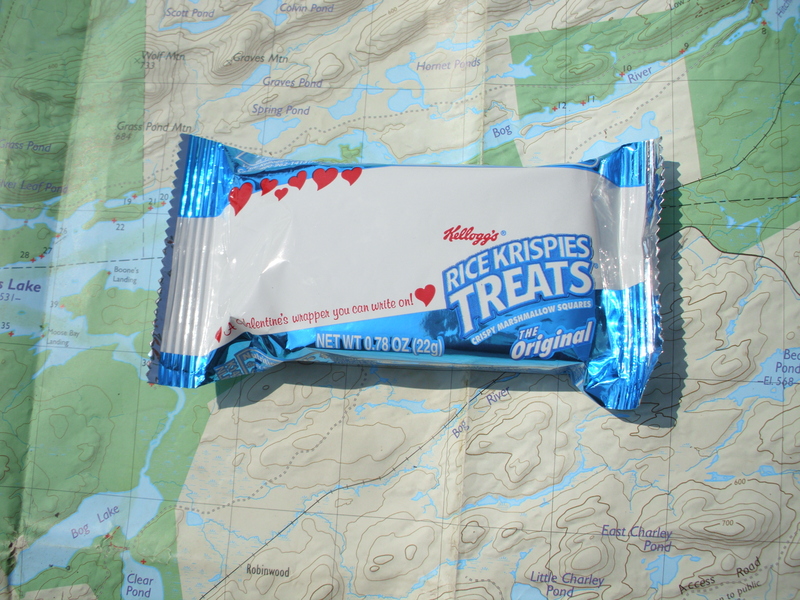 Ricekrispy Treats rule! 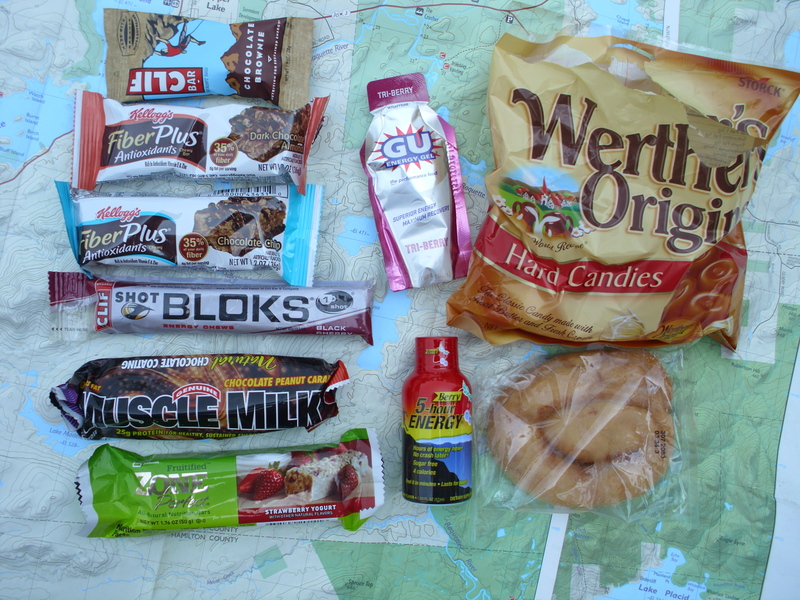 the other stuff: Gu, Shot Blocks, Muscle Milk bars, 5 hour energy, and stuff of that nature. If you’ve ever hit the wall, then this will kick start your motor again! or if you got limited time and or space this stuff will pull you thru. At the end of it all there’s nothing like a cold beer (or two) and a hot cheese pizza (New York style of course) !